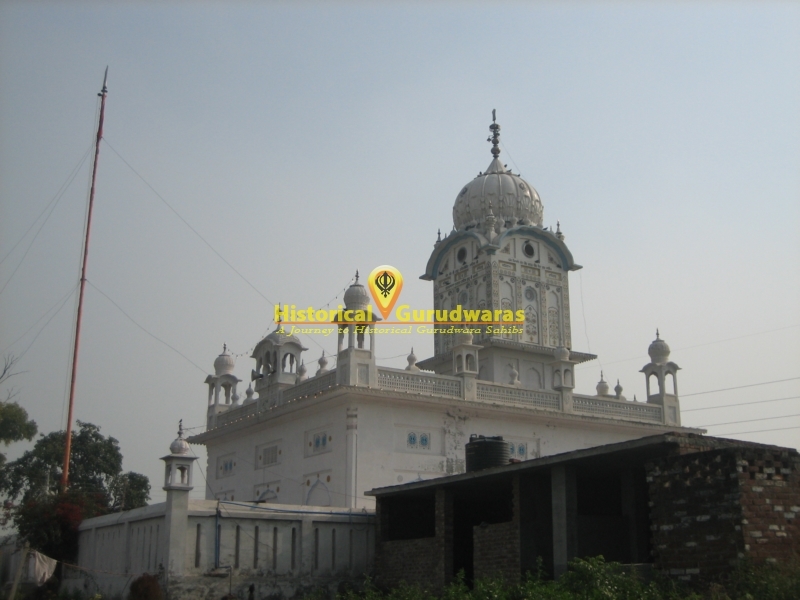 GURUDWARA SHRI DAMDAMA SAHIB - GURU KI WADALI is situated in the GURU KI WADALI village in Distt Amritsar. 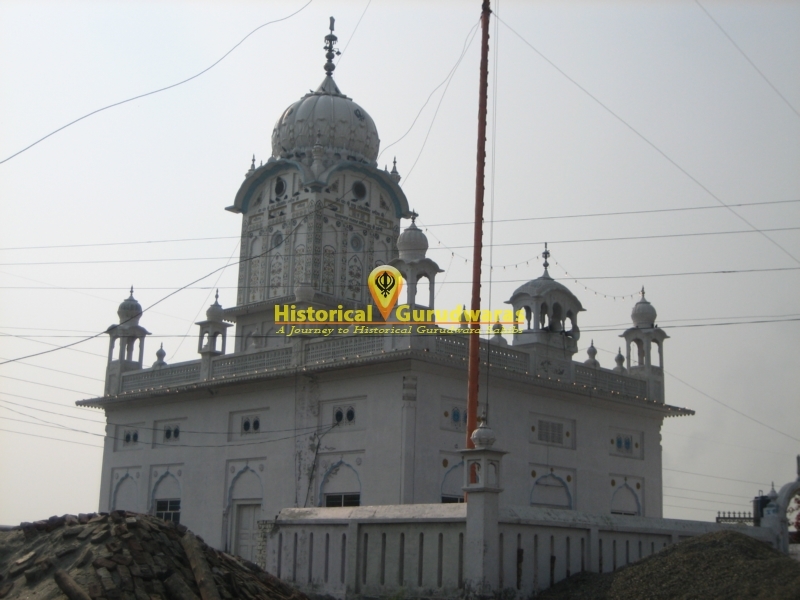 Its a holy place where SHRI GURU ARJAN DEV JI started the Five Harat. 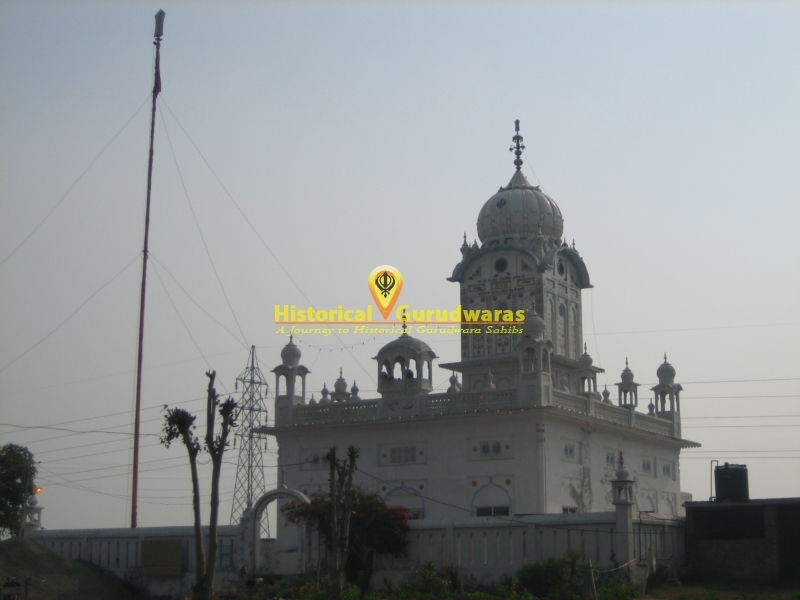 With time SHRI GURU HARGOBIND SAHIB JI along with thousands of Sikhs, came for a visit & also GURUDWARA CHEHHRATA SAHIB where he took bath & had a congregation. The followers from GURU KI WADALI requested that a pig disturbs them a lot. GURU SAHIB sent Painde Khan to chase the pig . The pig hit Painde Khan\"s horse & made him to fall. GURU SAHIB laughed & said \" You could not kill a pig. Let me chase it \". GURU SAHIB challenged the pig & it ran directly towards GURU SAHIB. GURU SAHIB stopped the attack with a shield, stood on one side of the stirrup & attacked the pig following which the pig was split in two halves. A lighting came out of pig\"s mouth for which Bhai Bhaana Ji asked GURU SAHIB & GURU SAHIB said that it was a Sikh who was cursed by your father, BABA BUDDA JI, he has been offered Salvation.MATA GANGA JI came on carts to BABA BUDDA SAHIB JI in order to get blessed with a son. BABA BUDDA SAHIB JI asked that who is coming. A Sikh replied that \" Guru Ke Mahal \" are coming. Then BABA JI said that where are \" Guru Ke Mahal\" coming in a haste from. 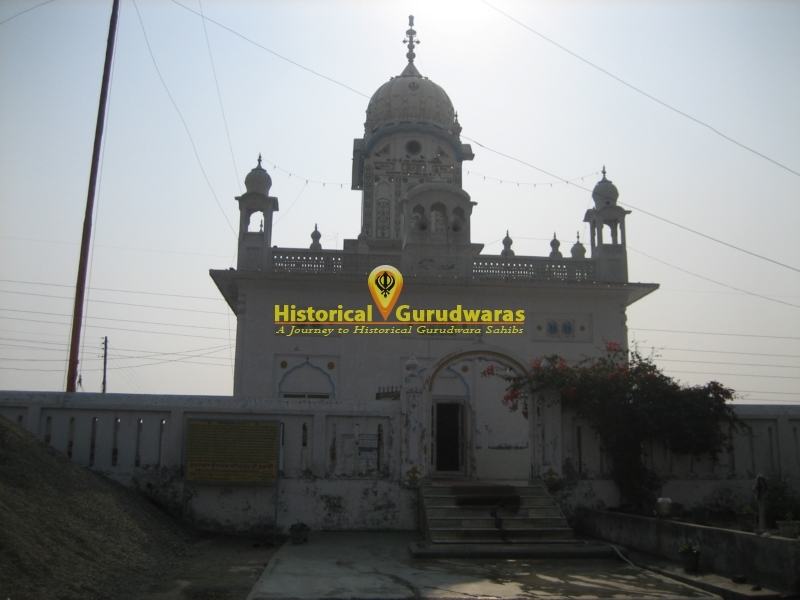 Sikh replied that \" Guru Ke Mahal \" are coming to meet you but why are you speaking bitter words. BABA JI said \" Its I who knows or the GURU who knows it, why are you acting like a pig? \". On hearing BABA JI\"s words, MATA JI went back to Amritsar. 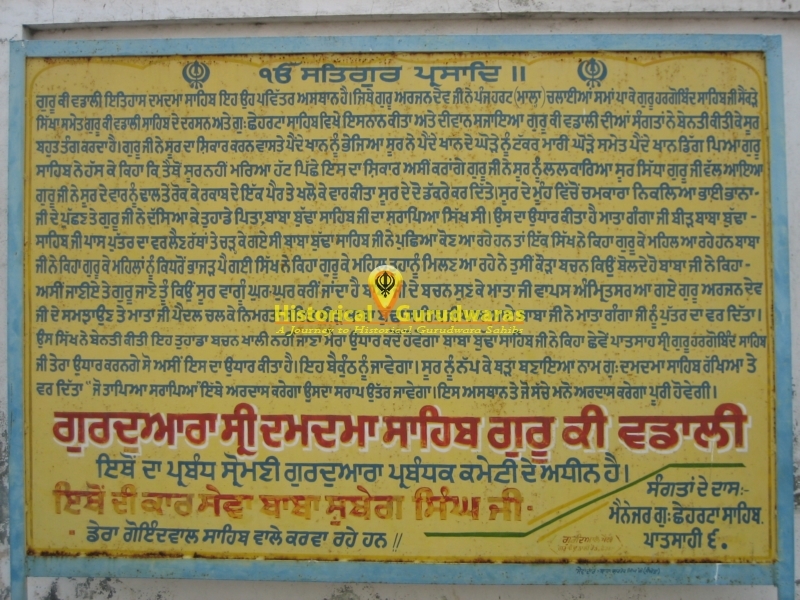 On being explained by SHRI GURU ARJUN DEV JI, MATA JI again went to BABA BUDDA SAHIB JI humbly by foot. BABA JI gave a son\"s blessing to MATA GANGA JI. That Sikh requested that your wordings would not blank, when would I attain Salvation. BABA BUDDA JI said that Sixth GURU would offer you Salvation, so I have offered him Salvation. He would go to Heaven. The pig was buried & a platform was constructed & named GURUDWARA DAMDAMA SAHIB & also given a Boon that whoever cursed does a ARDAAS here, his curse would go off. Whoever would offer ARDAAS at this place, it would be fulfilled.